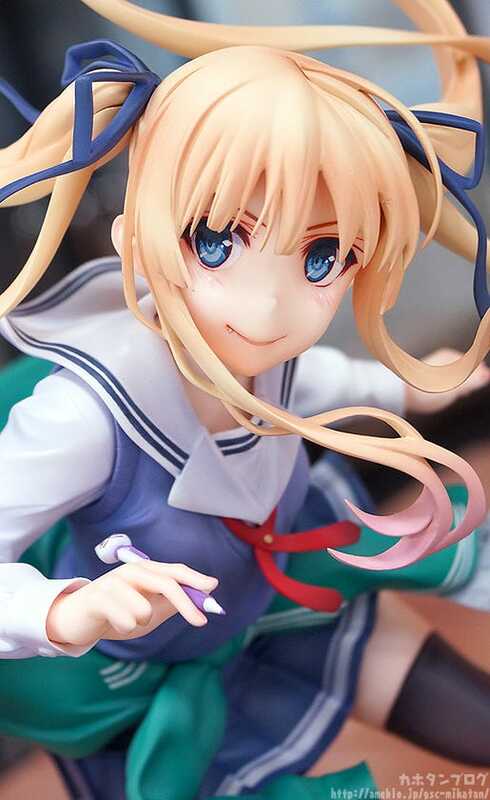 From “Saekano: How to Raise a Boring Girlfriend” comes a 1/7th scale figure of the popular doujinshi artist, Eriri Spencer Sawamura! 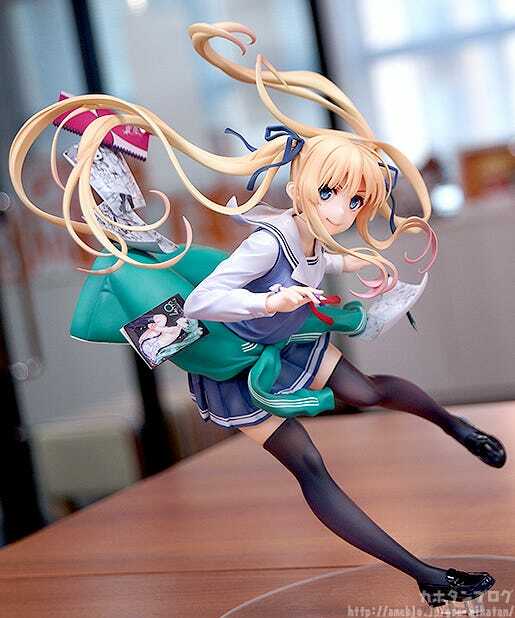 The figure is based on the jacket illustration of the first season Blu-ray box, and has been sculpted and painted with a unique touch in order to capture the look and feel of Kurehito Misaki’s illustration in figure form. 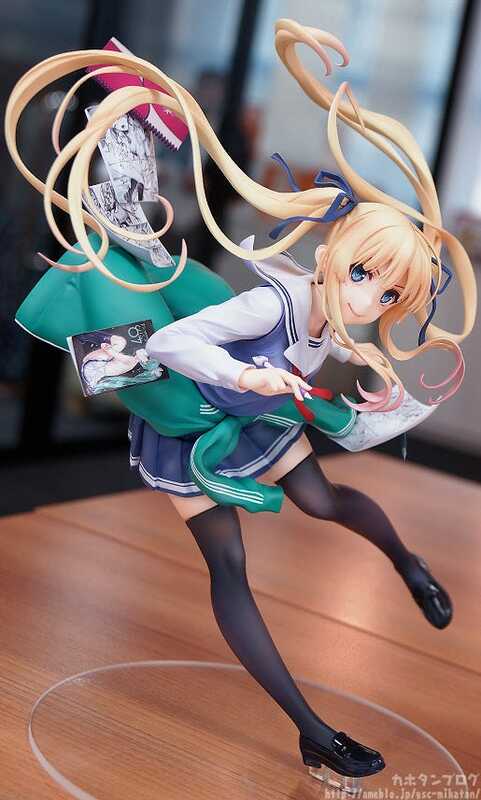 The highly dynamic pose of the figure make it look ready to jump to life, and her doujinshi and other items that represent her character are placed all around her creating an exciting composition with all sorts of things to see! 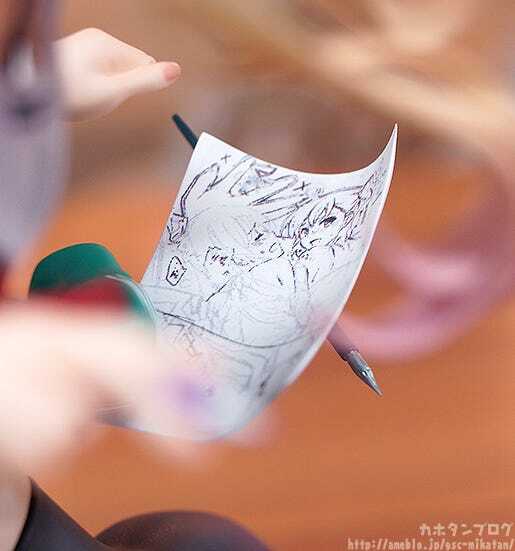 The doujinshi sketches that were mostly covered up on the original illustration are faithfully included and are even readable on the figure! Be sure to take a close look once she joins your collection! ▲ The details from the back are also amazing! 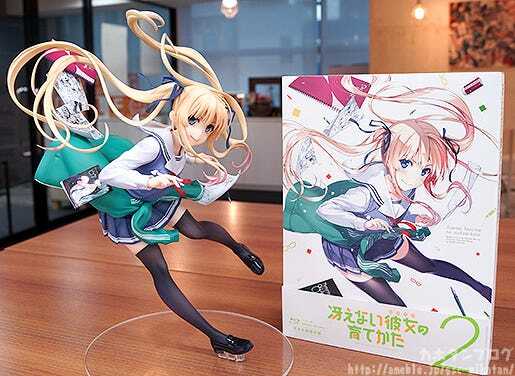 The figure is based on the illustration for the 2nd volume of the first season’s Blu-ray jacket! But perhaps the thing that most people are wondering about are the papers that are all floating around the figure! Doujinshi manuscripts! The way the elastics in her socks are pressing down on her skin!! 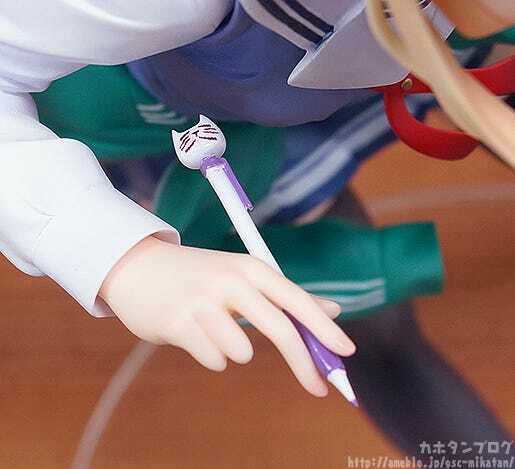 The line that separates the socks from her thighs has been sculpted so perfectly!! 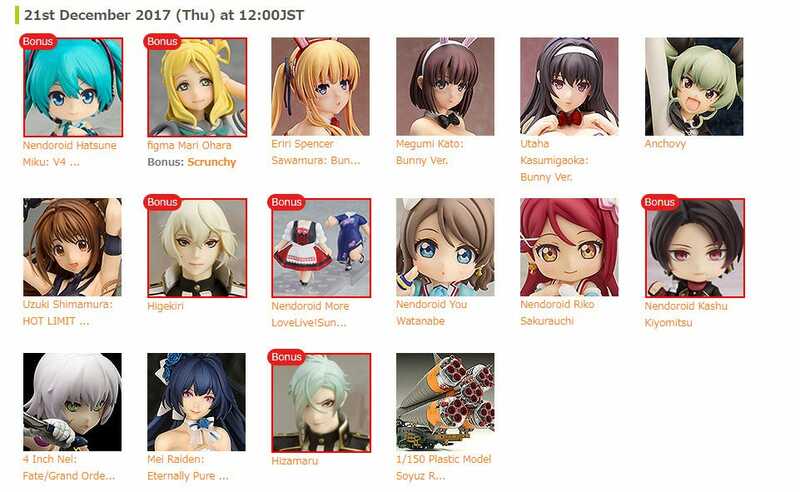 The artisans at Max Factory really are amazing at their work! Be sure to enjoy her from all sorts of angles if you choose to pick her up! 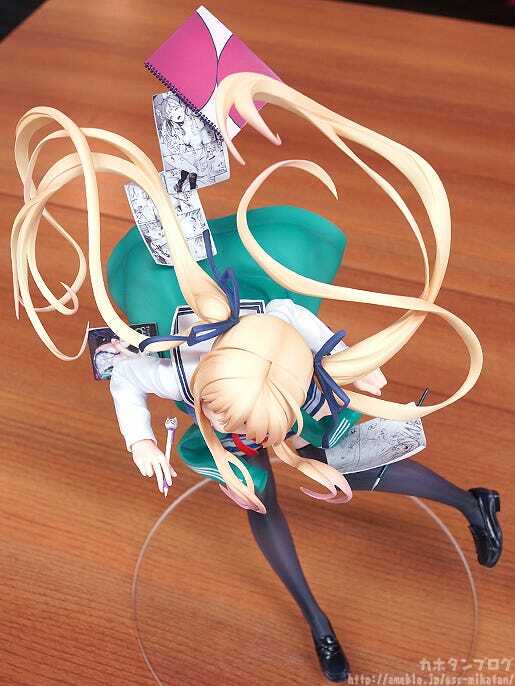 An amazingly dynamic pose filled with all sorts of details and highlights! 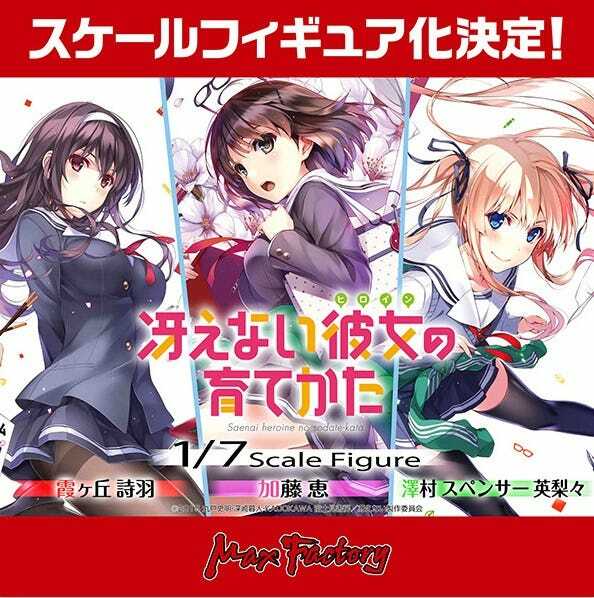 In addition, similar figures of both Megumi Kato and Utaha Kasumigaoka are currently in the works!